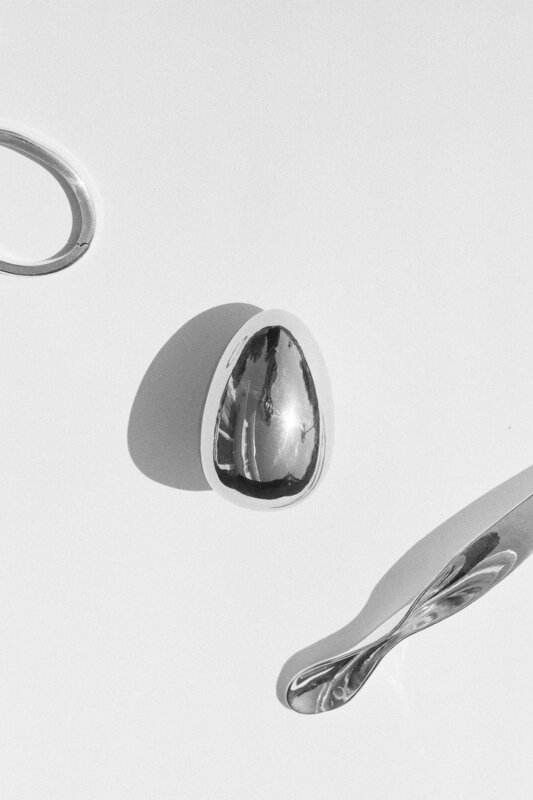 Sophie Buhai's unmistakable range of sculptural modernist silver jewellery has, rather understandably, gained her a loyal and enthusiastic following in the past few years. Buhai's holistic approach to design, coupled with her welcoming her first child (a daughter in 2016), has seen her wholeheartedly embrace her new role as mother. Having recently introduced a range of keepsake jewellery and functional objects for BABY into her line, Buhai has ensured that pieces such as the: modernist spoon, egg rattle and hinged baby bracelet, are guaranteed to become future family heirlooms. An age-old concept that, in a world of transient excess, deserves to be reimagined. You can VIEW SOPHIE BUHAI'S BABY COLLECTION HERE.